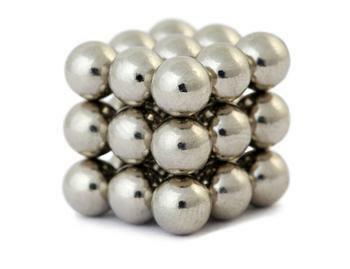 A U.S. Appeals Court decision has overturned a ban on high-powered magnet sets sold under names including Buckyballs, Zen Magnets, Neoballs, and Neocube. Consumer and child safety groups say the magnets pose a grave danger to small children, but one magnet manufacturer called the decision "a victory for small business." The magnet sets are composed of tiny high-powered magnet balls or cubes, often with 200 or more magnets to a set. When more than two magnets are swallowed, their attractive force allows them to find each other across or between different segments of the digestive system, potentially creating dangerous blockages. The Consumer Product Safety Commission passed new standards in 2014 that prevent the sale of many of the magnets, but in a recent decision, the United States Court of Appeals for the Tenth Circuit ruled in favor of Zen Magnets LLC in a 2-1 ruling, vacating the CPSC rule. It said the commission's factual findings used in writing were "incomplete and inadequately explained." Consumer groups and pediatricians were quick to disagree. “Simply put, this rule exists to save children’s lives. We have seen too many cases where young children swallowed these tiny yet powerful magnets masquerading as adult products and suffered serious medical consequences – even death," said Laura MacCleery, Vice President of Policy and Mobilization for Consumer Reports. "These are not the usual, run-of-the-mill refrigerator magnets and the CPSC’s safeguards are critical to protect the public." Benard P. Dreyer, MD, President of the American Academy of Pediatrics, said the magnets "have caused unnecessary surgeries, debilitating injuries, irreversible gastrointestinal damage and other lifelong health impacts in infants, children and adolescents. "Pediatricians have been ringing an alarm bell about these dangerous magnets since we first recognized the damage they cause, and the U.S. Consumer Product Safety Commission’s ban on these high-powered magnets was a much-needed step in the right direction. The court’s ruling to overturn the CPSC ban on high-powered magnets jeopardizes children’s health and safety." Zen Magnets had won a lower court decision vacating the rule. It had challenged emergency room statistics used by the CPSC and said the commission's evaluation of the costs the rule would impose on consumers was incomplete. Shihan Qu of Zen Magnets LLC said the company would begin accepting orders for the magnet sets within a few weeks.